How Did Boba Tea Originate? If you’ve tried boba tea before, you may be wondering who came up with the idea for such a unique drink. Made with tea, milk, flavorings, and tapioca pearls, boba tea originated during the 1980s in Taiwan. 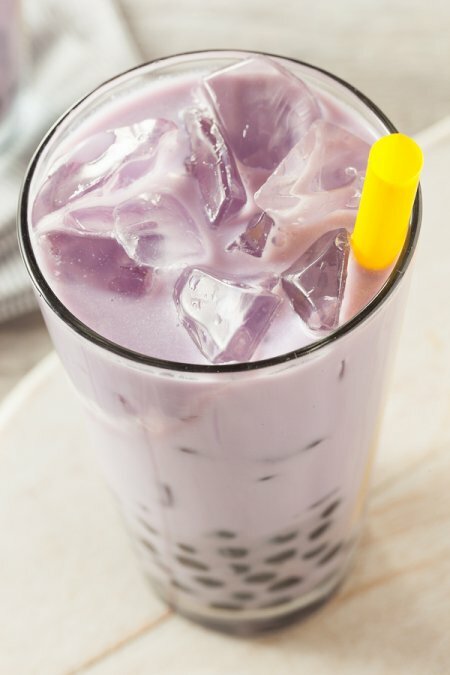 Boba tea is also referred to as bubble tea, tapioca tea, and pearl tea. One story behind the origin of boba tea is that a Taiwanese tea vendor who was experimenting with flavors began adding sweet syrups to tea. It’s thought that the bubbles that developed after the mixture was shaken gave the drink its name. Another theory is that the drink is named for the bubble-like tapioca pearls, called boba, that sink to the bottom of the beverage. Happy TeaHouse & Café offers snacks, specialty drinks, and boba tea near Houston. In our tea house, you can relax, enjoy a meal, and chat with friends. We also provide free Wi-Fi with your order, game tables, and plenty of indoor and outdoor seating. For more information, call us today at (713) 469-3275.